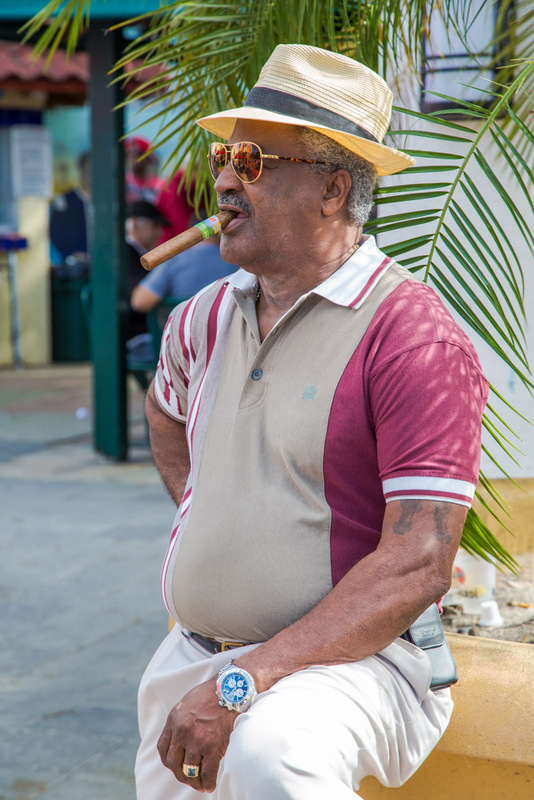 Little Havana is one of Miami's most picturesque and beloved neighborhoods. It has some of the oldest and most historic buildings in Miami. Ever since the Cuban immigration started in the 60s this neighborhood became the home of many Cuban families. Later, it became also home for immigrants from Central and South America. 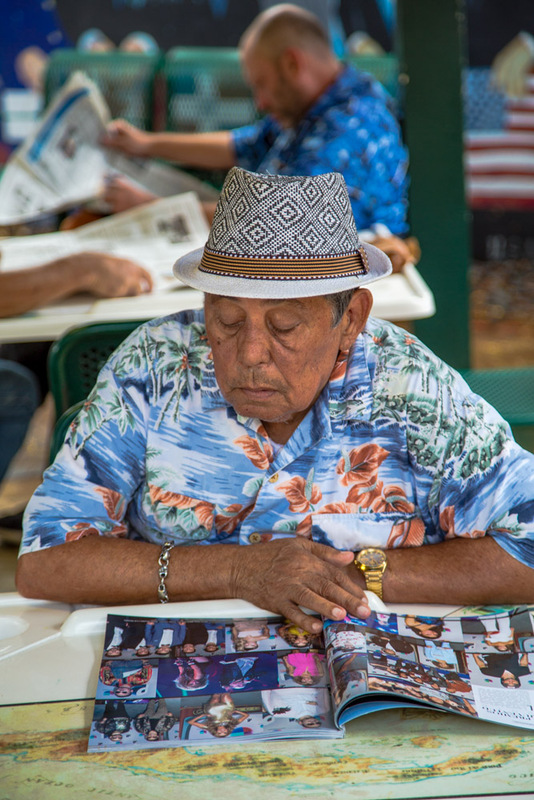 This community of immigrants has helped Little Havana to shape and reinforce its strong and proud Hispanic identity. Walking by Calle 8 (8th street, the area's main drag) you always find either at or around Domino Park or at El Exquisito or at El Pub restaurants or at any other of the small businesses between SW 12th Ave and SW 17th Ave, people who by their charming personality or by their clothing or by their engaging conversations always proudly display elements of their homeland, but also about their new home: Miami. 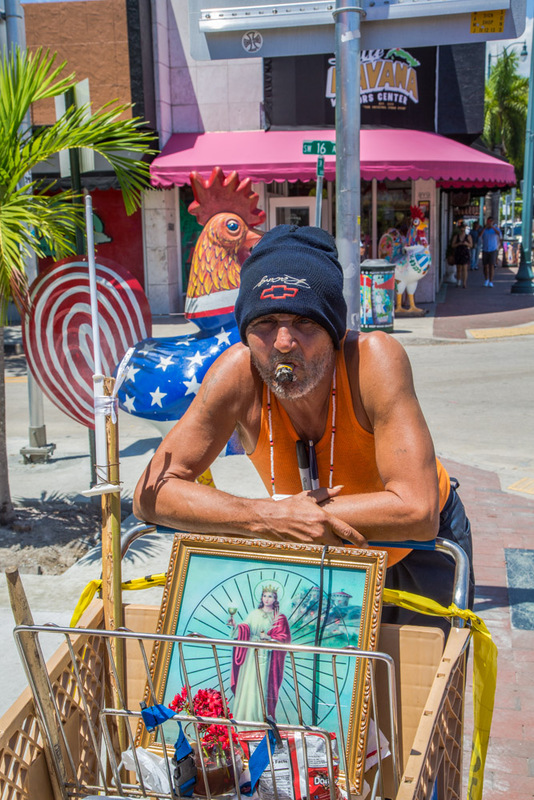 These people, who are mainly residents of the area, for years have helped keep up the charm of Calle 8. Many of them know each other; they interact, they share their lives, they know their stories, they are like a big family. 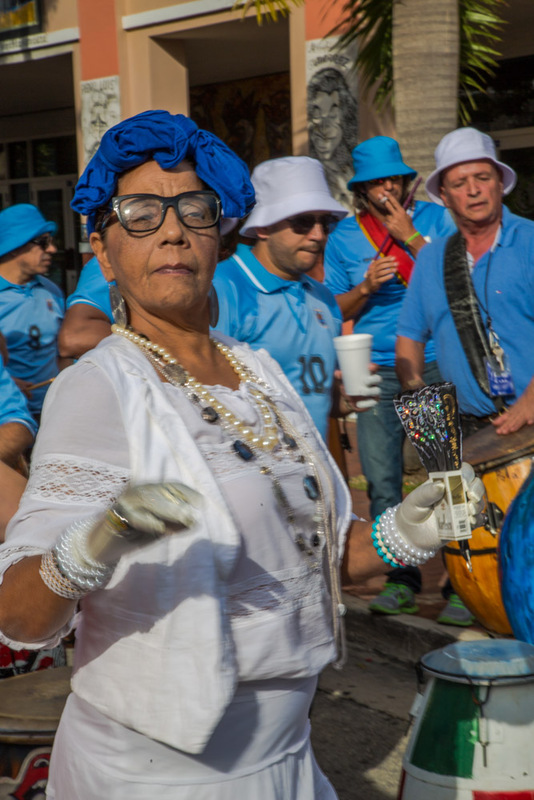 However, Little Havana is at a crossroads with the hyper-gentrification process that is currently happening in the area, and as such the neighborhood is changing. 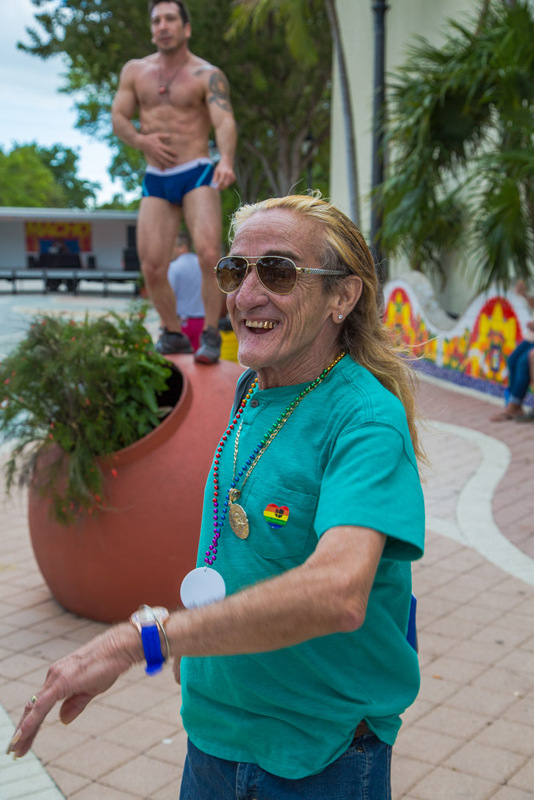 The important presence of these men and women is starting to fade away since they are aging and dying or because of the inevitable change brought by the gentrification process in the area and the large amount of tourists that daily flock the streets of Calle 8. 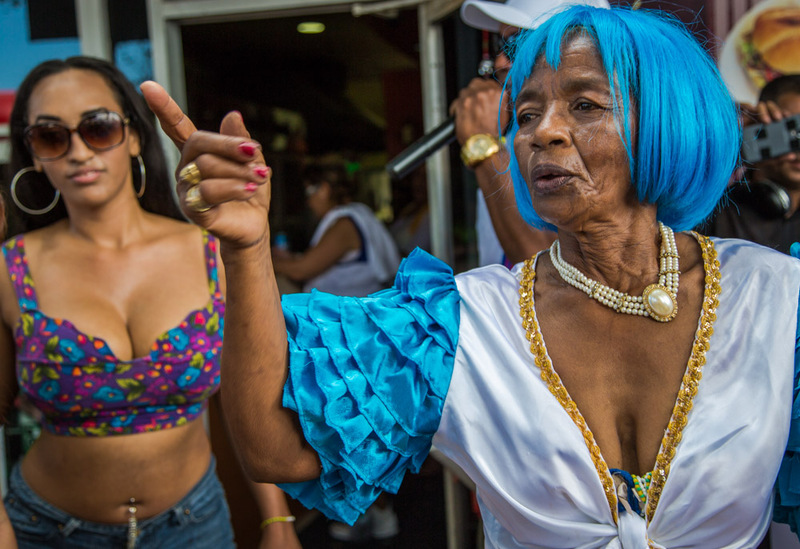 This photo series is a celebration of the lives of those characters that for years have been like angels roaming the streets of Calle 8 serving as ambassadors of the area and defiant symbols of its rich cultural and historical heritage. Rina, Cuban American; likes to dress up and play dominoes. 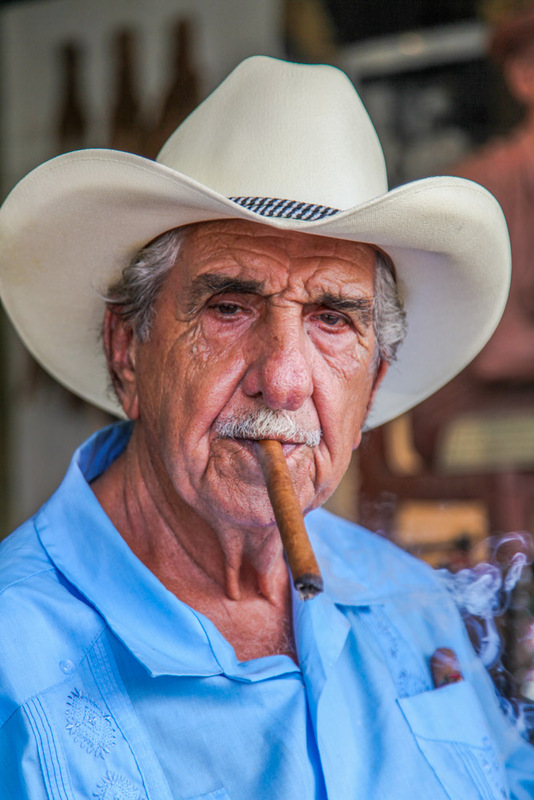 Pedro Bello, Cuban American; has worked for more than 40 years at Calle 8's Cuba Tobacco Cigar Company. Ángel, Cuban American. 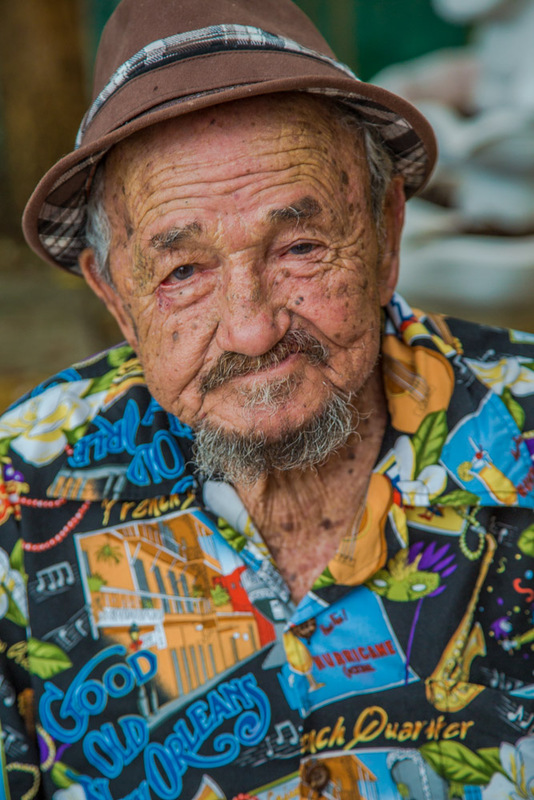 Owner of one of Calle 8's landmarks: Los Pinareños Frutería (fruit market), established in 1967 with his wife Guillermina. Deceased. Guillermina, Cuban American; has worked for over 50 years at "Los Pinareños" fruit market. 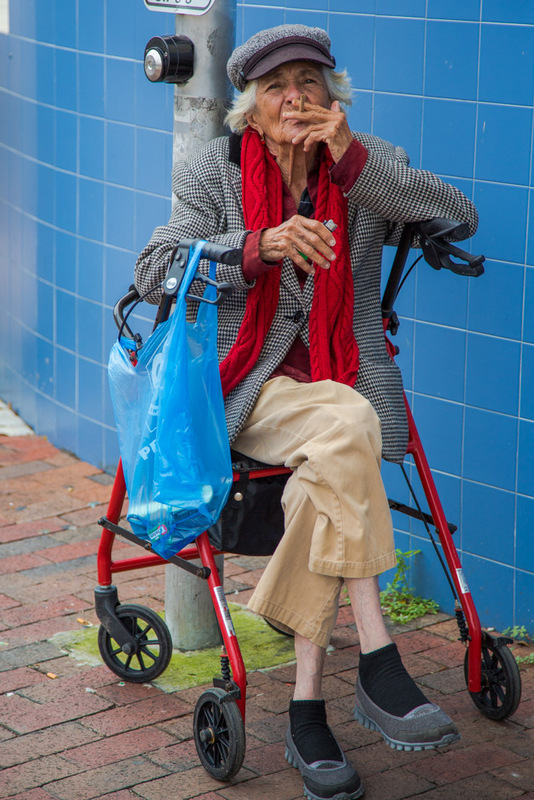 Marta, Cuban American; she came to the USA in 1959 and owned a beauty salon in Calle 8 for over 20 years. Died in 2017. Paco, Cuban American. Came to the USA in the 60s. Original of Caibarién, central Cuba. Deceased. Gladys, born in NYC and raised in Venezuela. She wanted a dollar for beer. Angel, Cuba American; likes to play the guitar around Calle 8 restaurants. He is also known as "El Mago de la Hoja" (The Leaf Magician), because his leaf whistling skill accompanies his guitar tunes. 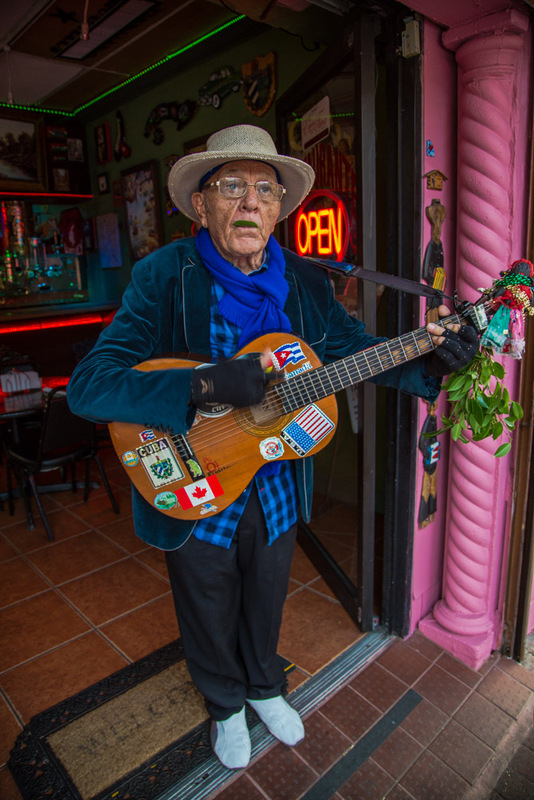 Tony Flores, Cuban American; if there is music in Calle 8, Tony would be there, dancing with his charming personality. 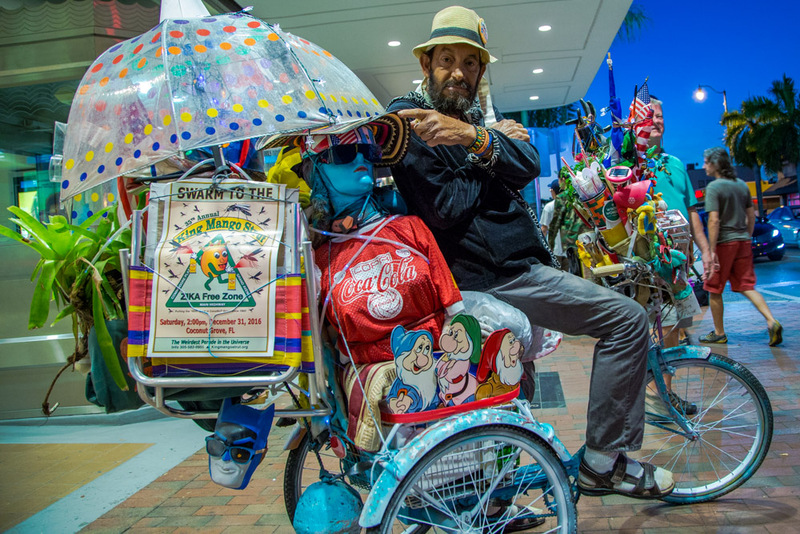 Jay, Cuban American; a Peter Pan child who is always roaming the streets of Calle 8 either riding his colorful and uniquely decorated bike or van full of objects from Cuban and American cultures.